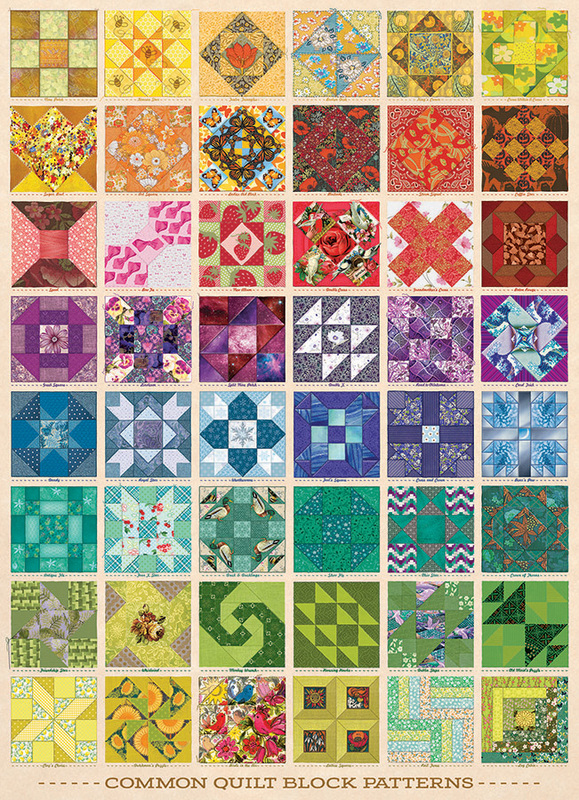 Common Quilt Blocks is a colourful collection of popular quilt block patterns that will please any quilter and puzzler! Labeled below each quilt block is the name of the design - though the design names may vary by region. There are lots of details to be discovered in this lovely 1000 piece jigsaw puzzle designed by Cobble Hill Creations. Item # 80237 Weight 1.61 lbs.